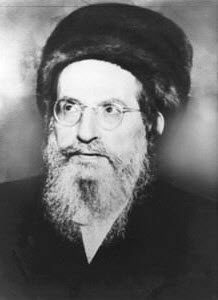 Rabbi Shimon is praising the people that know how to put their words together and whose prayers are elevated and united with the Holy one, especially if their consciousness are already united with the Shechina. This kind of prayer penetrates through levels of heavens and opens doors. The angels and the Holy living creatures join and support the connection. A proper prayer requires three steps. Using the sacred text to make a proper ‘ladder’. We use the psalms of King David and Torah text in the prayer for that purpose. If you have personal prayers (that include others in it) then precede it by reading or scanning the sacred text that already includes a higher connection. Continue with your personal prayer and end it again with the sacred text. Quiet meditation to vision the light come down and merge with the vessel. At this stage there should be understanding and appreciation to the process. Then thank the light for giving you the knowledge and ability to do what you just did. Try to make the three steps equal in their time length. People that run to the synagogue to make a connection, most of the time, miss it. They should at least meditate on why they go there and what they want to achieve. God does not need our prayers. God is a constantly available force that allows us to connect to him and channel its power to energize our actions in this world.